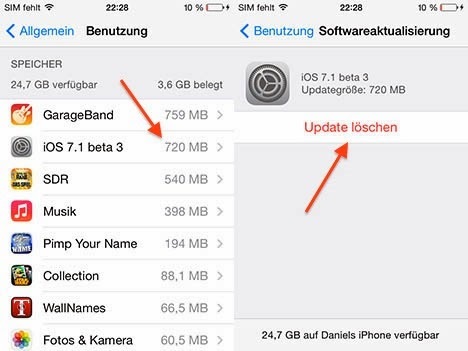 Generally, most of the Over-the-Air (OTA) download files always kept into smartphone and tablet devices and acquire lots of storage capacity of a device, but now iPhone, iPad and iPod Touch device users can Manually Delete/Remove Over-the-Air (OTA) Setup Installer Files of Games and Applications Downloaded from App Store or iTunes to free-up and gain some extra storage capacity. Latest Apple iOS 7.1 Firmware is now providing a feature to iPhone 5S, iPhone 5C, iPhone 5, iPhone 4S, iPhone 4, iPod Touch 5G, iPad Air 5G, iPad 4G, iPad Mini, iPad Mini 2, iPad 3G and iPad 2G device users to permanently Remove/Delete Over-the-Air (OTA) Downloaded Apps and Games Setup Installer Files from App Store or iTunes Manually. If your device memory storage capacity is fully consumed than you might need some extra storage capacity for more music, games, videos, photos and apps, by following our below tutorial and guide you can gain significant amount of spare storage space i.e. 1Gb or 2GB+. Apple iDevice users can also delete/remove iOS Firmwares OTA software updates manually. 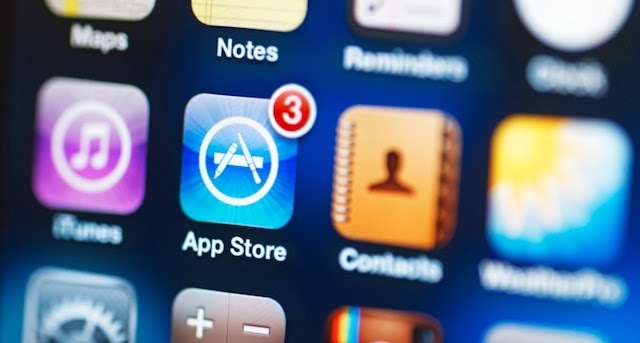 Just follow our Tutorial and Guide to Manually Delete/Remove Over-the-Air (OTA) Setup Installer Files of Games and Apps Downloaded from App Store or iTunes. Step 1: First Go to Settings app on your iPhone, iPad or iPod Touch. Step 2: Now Go to General >> Usage. Step 3: Under Storage tab, you will find lots of Games, Apps and iOS Firmwares setup/update installer files. Step 4: Now, Select any desired entry and tap on Delete. You’re done.